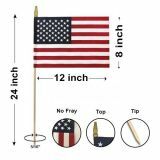 Show your respect to our fallen soldiers with these Mini US Cemetery Flags with Ground Spike. These are used to decorate the graves of our veterans each spring and summer throughout the United States. The spiked design will make it easy for it to insert into the ground for the employees at the national cemeteries. We have a sizeable collection of made in America cemetery flags in various sizes and models. Shop now and take advantage of the best prices, quick shipping and much more! 100% customer satisfaction guaranteed! 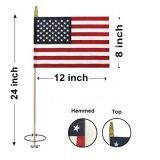 Mini US Cemetery Flags with Ground Spike are available in various sizes and models at Tuff Flags. These are perfect to be used as grave markers and in cemeteries during Veterans Day and other patriotic events to honor our fallen heroes, national leaders, fire fighters and soldiers. A cemetery flag is a thoughtful way to remember the best our country has to offer. Made from quality materials, these Mini US Cemetery Flags with Ground Spikes feature UV resistant inks that retain its color clarity and beauty for a long time. 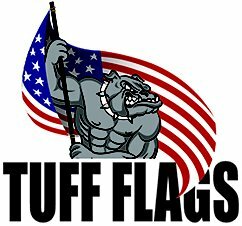 Made in USA, these flags will enhance the pride of national events and memorial services and will make great giveaway items during Independence Day or other national holidays. The ground spike design will make it easy to place the flag in the ground for the volunteers. Add identity to the solemn moments with these Mini US Cemetery Flags with Ground Spike that are 100% made in USA. Browse our collection of Mini US Cemetery Flags with Ground Spike to shop for a model that will match your needs. 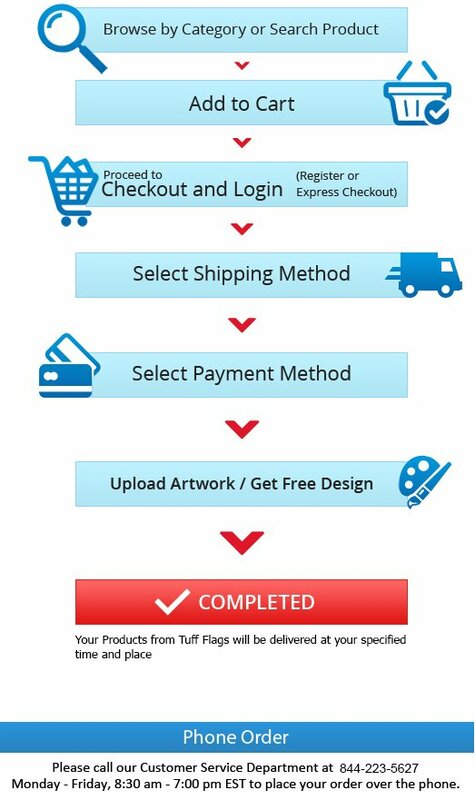 If you are not sure of how to get started, we are only a call away at(888) 287-3524 or you can also email your questions at customercare@tuffflags.com.